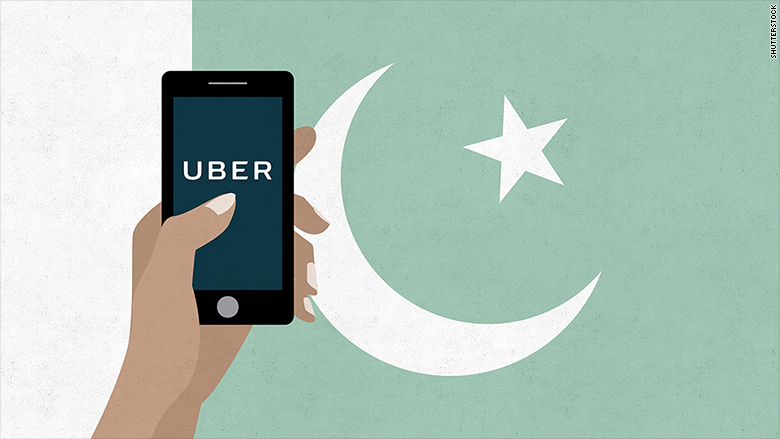 And for its 69th country launch, Uber has picked Pakistan. The ridehailing behemoth announced Wednesday that it is now servicing Lahore, Pakistan's second largest city. Customers can now hail UberGo -- which lets riders pay with cash or the typical in-app credit card option. "Lahore is our first city globally to have launched cash right from the beginning," said Shaden Abdellatif, an Uber spokeswoman for the Middle East, Africa and Pakistan. Abdellatif said that while smartphone penetration in the city is high, credit card usage is low. That's just one of the ways that Uber is tailoring its service to fit the lifestyles of locals. "It's a huge city. There are several universities and a lot of people commuting every day," said Abdellatif. Uber has added certain protections in Lahore, including requiring social referral certificates, which are validated by the government. The referrals must come from a non-blood relative, typically a previous employer, who vouches for the driver. Abdellatif said this is a common requirement for service industry workers in Pakistan. Additionally, Uber will require its drivers undergo anti-sexual harassment training as part of its onboarding process. That's something Uber also requires in Cairo, another market where reported harassment is high. The minimum fare will be the equivalent of $1.50 -- and customers will likely be riding in Suzuki Swifts, Toyota Viz, Toyota Corollas or Honda Civics, according to Uber. There are already hundreds of drivers signed, who Uber said are a mix of professional drivers and students. From Thursday to Sunday, UberGo will be footing the bill for rides, so residents can get accustomed to the service.